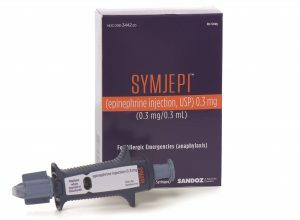 Symjepi, the pre-filled 0.3 mg-dose syringe alternative to epinephrine auto-injectors, is now available in clinical settings across the United States. Allison Schneider, director of communications at Sandoz, says the life-saving medicine will be available in “hospitals, clinics and doctors’ offices.” Sandoz is the marketing and commercial partner of Adamis Pharmaceuticals, which developed the epinephrine product. While the device is available in clinical settings, Sandoz has not announced when allergic consumers will be able to purchase Symjepi from a pharmacy. “We are actively preparing for the U.S. introduction into the retail market to enable patients to get this life-saving medicine at their local pharmacies,” Schneider told Allergic Living. When that roll out happens, a two-pack of Symjepi will have a retail price of $250. The device is about four inches long and fits in the palm of an adult’s hand. With Symjepi, a patient administers epinephrine by pressing down on a plunger to give the medicine via a needle. The dosage in this syringe is intended for patients who weigh 66 pounds or more. 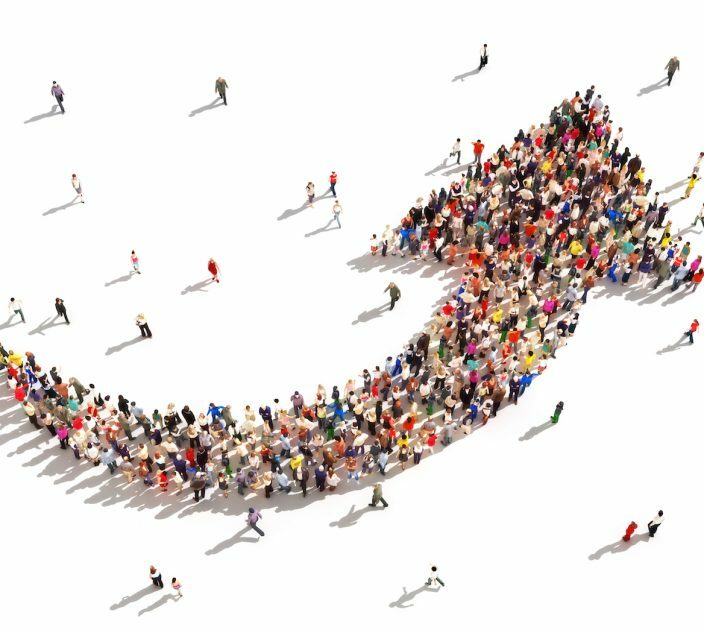 Adamis is working closing with Sandoz to prepare for the launch of the 0.15 mg-dose Symjepi, according to Mark Flather, the company’s senior director of investor relations and corporate communications. 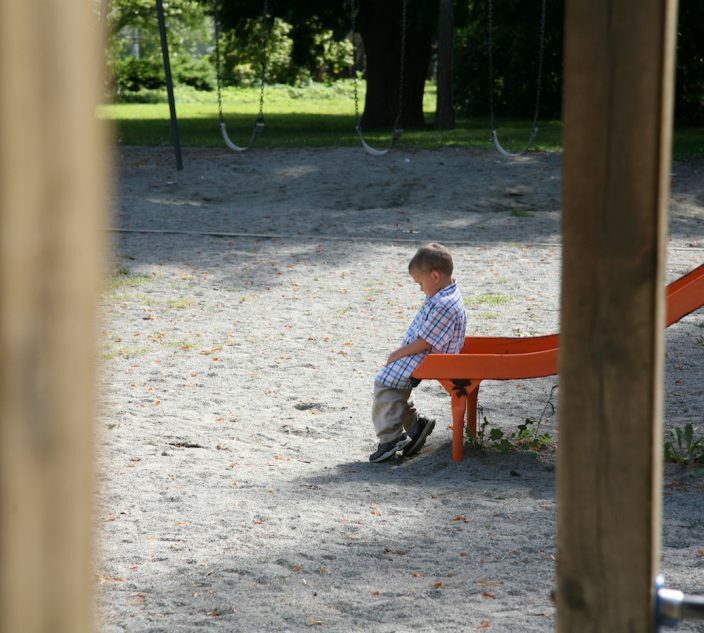 The lower-dose device is meant for younger children with allergies, who weigh between 33 and 65 pounds.